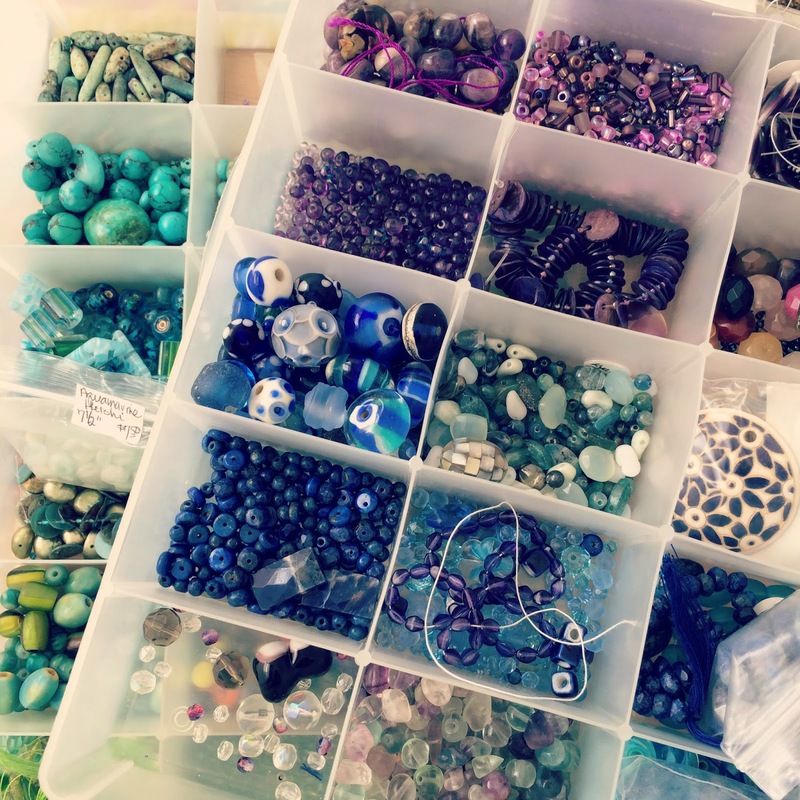 Fabric And Ink and Everyday Life: So Many Beads, So Little Time! Every now and then the urge comes over me to make myself something pretty. 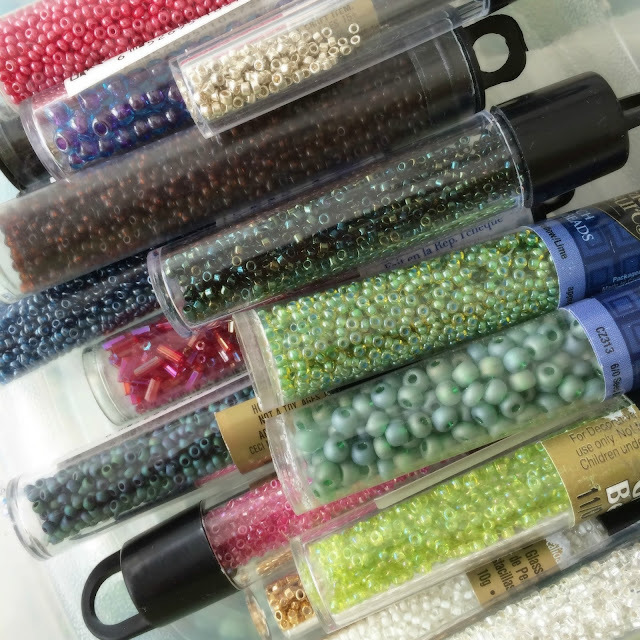 I have a drawer full of beads and beading stuff that I've saved from when I used to do it more often. Even though I don't make jewelry on a regular basis, it doesn't stop me from finding (and hoarding) cool things when I am out and about. Yesterday when I decided to pull all my beading things out, I was excited to look through it all, finding treasures I'd forgotten all about! I really like wrap bracelets. I like them to be simple and lightweight. 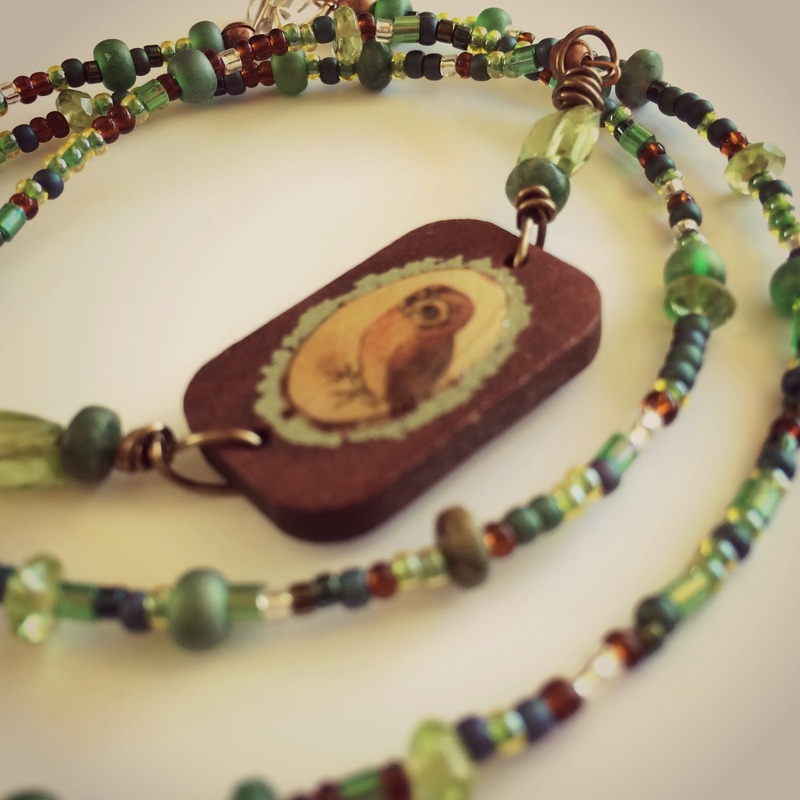 When I was looking through my box of new bits and pieces, I found this little wooden tile with an owl picture. The owl has resin over it so it is domed, very pretty. 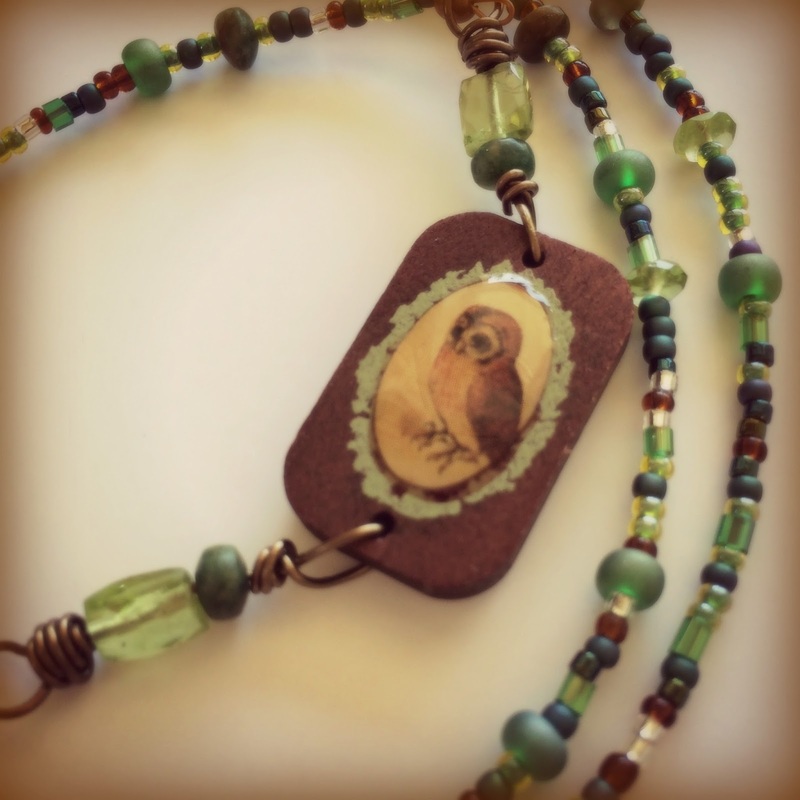 The bead colors came from the owl image. I've mixed metals, using copper, brass and a sterling silver clasp. 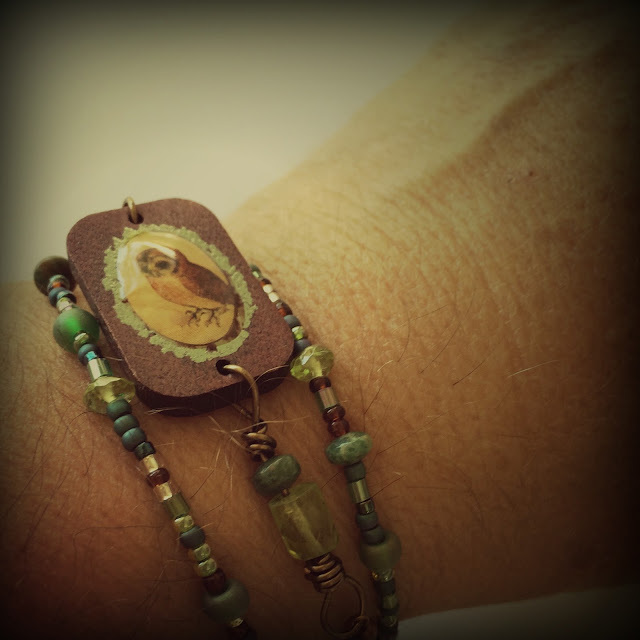 Since I like loose bracelets, I made this one 21.5inches long and it wraps three times.